The Roeckl Weldon winter gloves are made from Polartec Power Stretch Pro, that is extra warm, soft and has a great stretch. The Weldon is TOUCHSCREEN COMPATIBLE, allowing you to take calls on your smartphone without having to take off your gloves. How did they do it? The thumb and the index finger have 3D design cut to enable quicker and easier use of the touchscreen. The palm and fingers have silicone print for a great grip. 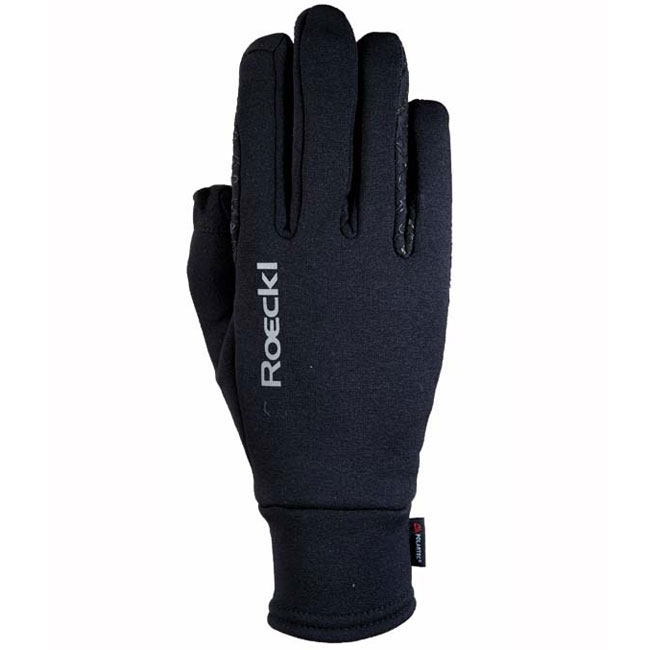 This is a very comfortable winter riding glove from Roeckl.